With the brutal winter this year I have found myself reaching for my favorite mask more than ever. The aqua gel luminous mask is perfect for those who are suffering from dry or dehydrated skin, but can work great for all skin types. Here is what NARS claims this product will do "An advanced treatment mask that provides a surge of hydration to the skin. Potent natural botanicals enhance collagen production and protect skin’s elastin* for ultra-soft, youthful looking skin." I 100% believe these claims to be true. As I have mentioned is some of my previous post this mask is hydration 101 for your face. This product has been around for a while, but for a while it was discontinued but NARS brought it back with a much more sanitary packaging which is great. The great thing about this product is that there are two ways of using it. The first being you can apply it before bed and let it sink in over night which I tend to do when I feel my skin hasn't built up its own natural moisture by the end of the day. The second and the way I tend to mostly use it is to apply it during the day and leave it on for 5-10 minutes, I usually leave it on for 20-30 minutes to make sure I get the most out of the product. I tend to lean towards this method more because there is something about falling asleep with thick product that skeeves me out. Now because this is a gel formula it will sink into your skin like a moisturizer will. When I apply this at night I like to put a little extra on so that it can sink in all night. This product also has some light reflecting complex that illuminates your skin and makes you look refreshed. Quick story, I used this earlier this week because my face felt drier than the sahara [not even a exaggeration] and when I took it off my boyfriend noticed that I looked refreshed so, if my words don't persuade you then maybe an oblivious guy who could careless about skincare would. One of my biggest difficulties when I first started using this product was the $39 price tag, but once you use it there is no going back. But to ensure I don't go through nine tubes a year I like to only use it when I feel its totally necessary. Have any of you tried this mask before? 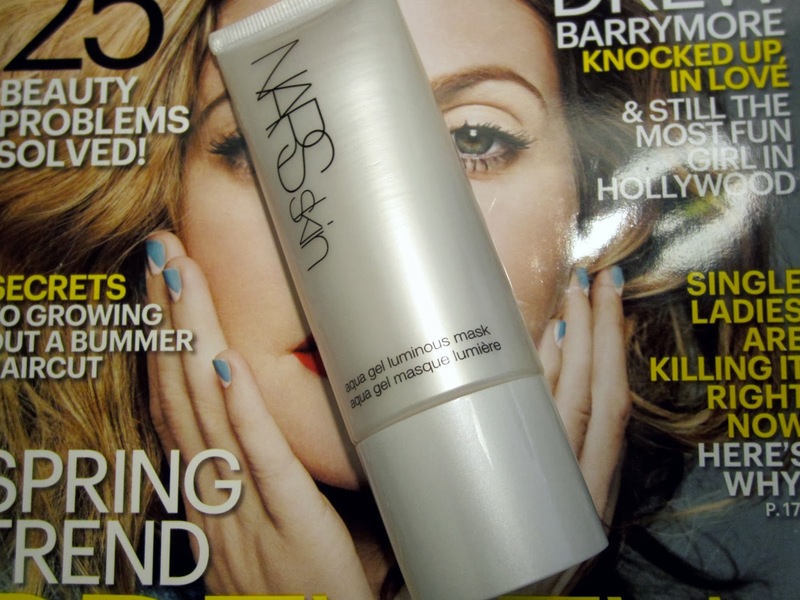 6 comments on "NARS Aqua Gel Luminious Mask"
Your blog is great! Really want to try this product out! Thank you for doing this review! I have seen you mention this heeps in your skincare post.